The snowpack in the Gunnison Basin got a tremendous boost from two winter storms during the first two weeks of December this year. This season Crested Butte received almost seven feet of snow in the first two weeks of December, more than many other places in the state. Almost another foot of snow has fallen in the second half of the month. The last comparable snowstorm in Crested Butte was in January 2005, when over eight feet fell in a two-week period. According to the Natural Resources Conservation Service’s SNOTEL information, the snow water equivalent around the Gunnison Basin jumped from a meager 30 percent of average during the last week of November, to 130 percent of average immediately after the initial two-week storm cycle in December. Longtime area resident and Upper Gunnison River Water Conservancy District (UGRWCD) board member George Sibley, who first came to Crested Butte in 1966, says he has never seen the snowpack make such a dramatic shift. According to UGRWCD manager Frank Kugel, the Gunnison Basin snowpack has dropped a bit following the big storms, to 120 percent of average. Kugel says that is still good news for water users who will be relying on the snowpack to translate into a good spring runoff. This fall, the National Weather Service’s winter weather outlook warned that a burgeoning La Nina phenomenon in the Pacific Ocean would lead to increased temperatures and decreased precipitation. 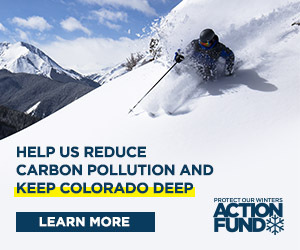 The report stated that areas north of the I-70 corridor in Colorado were liable to get increased or average precipitation, while areas to the south were likely to get less than average. The report also said that December could be boom or bust in terms of snowfall. During his first December in Crested Butte, Sibley says it snowed almost as hard as it did this year, although the total amount of snow that fell was less, Sibley recalls. Sibley was on the ski patrol at the time, and remembers wandering around the mountain with bamboo poles, wondering where he was supposed to put up gates, “and then it started raining. Halfway through the storm it rained for about a half an hour,” he says. SNOTEL records from last season show that things weren’t so good. On January 1, 2007 the Gunnison Basin snowpack equivalent was 70 percent of average, and by February it hadn’t improved much, at 81 percent of average. Kugel says La Nina is still out there. “We’re encouraged by the early snowfall in the Upper Gunnison area, but it’s too soon to tell what kind of winter we’re going to have. The key snowmaking months are yet to come,” Kugel says. He says there is no clear indication of how much precipitation Crested Butte will get throughout the winter, but it is probably going to be warmer than usual. Still, a considerable amount of storms continue to brew in the South Pacific. Kugel says the forecast over the next week looks favorable and could bring snow—possibly even a New Year’s Day gift of powder.